In 2014, almost everyone must buy health insurance or face tax penalties. Health Exchanges serve as the vehicle for consumers to buy health plans via a state-run website. New York recently shared their intentions for their State-based Health Exchange website. It looks very similar to the user experience of a Travelocity.com or Expedia.com. A user can enroll with a log in and a password. They can shop and compare plans without actually buying anything through a user-created profile. After entering a series of demographic information including their name, address, age, and income, a wide array of product options are displayed. The options are specific to their eligibility criteria and the screens are dynamic to stop the need of constant scrolling. There are graphics and pictures and the site has a modern and clean look to it. There is a section where users can choose their priorities as a consumer. Meaning they can decide to look at health plans based on whether their doctor is in-network, whether the plans have high quality ratings, or simply on price. Ten other states are planning to use a very similar website. They are Alabama, Arkansas, California, Colorado, Illinois, Massachusetts (with Rhode Island and Vermont in a consortium), Minnesota, Missouri, Oregon and Tennessee. IDEO, a California-based design company, lead the effort. They are known around the world as leaders in driving creative solutions to complex problems and processes. I am convinced health care reform falls in this bucket. 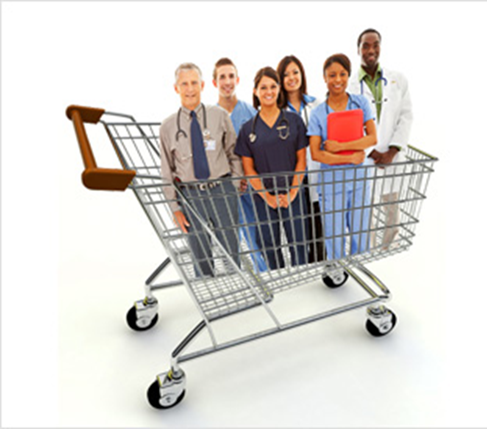 To witness this healthcare shopping experience click here. How Much Does Free Healthcare Cost?